Anuvia Plant Nutrients opened its fertilizer production facility in Zellwood, Fla. The $98 million plant started production in April and has capacity to produce more than 200 tons of product daily. Anuvia’s products include GreenTRX for the turf industry and SymTRX for the agricultural sector. The technology is based on a slow-release delivery system called the Organic MaTRX that mimics what happens with organic matter in the soil, Yoder said. 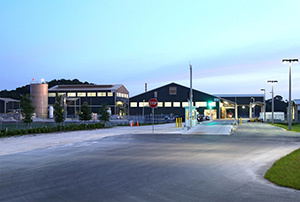 The Zellwood, Fla., facility is the first site for Anuvia’s production facilities. Plans are underway to build additional capacity at the Zellwood site, and other locations are under investigation.